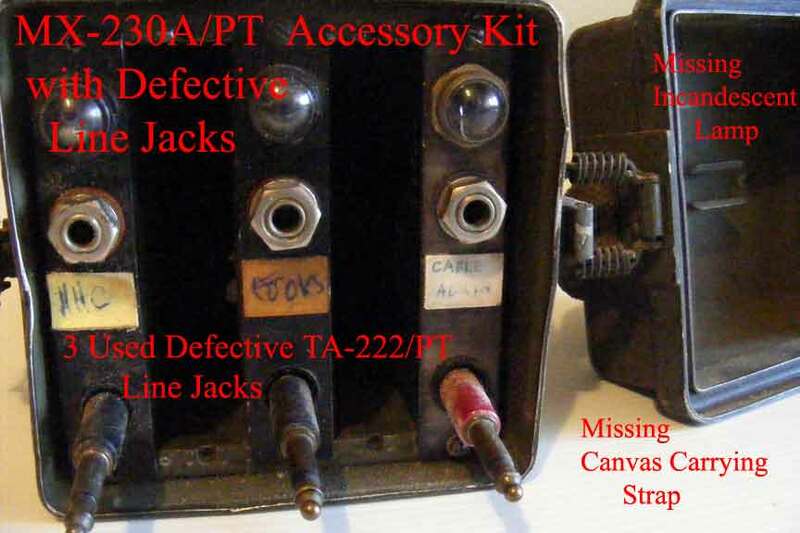 A Note of Caution: When buying the spare SB-22/PT line jack accessory kits MX-2915/PT or MX-230A/PT with three line jacks (telephone circuits), be sure that all line jacks in them are new, unused. Or if there are used ones in there, ask the seller if they have been tested. Here's why. 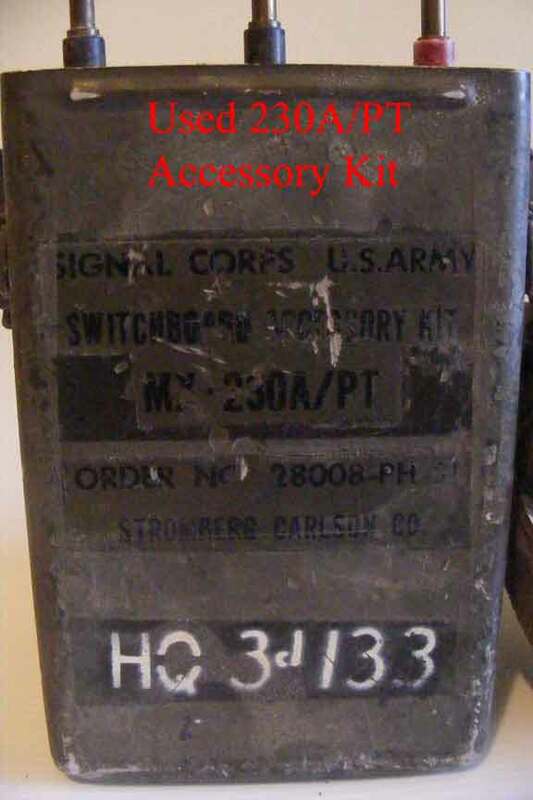 My experience with this equipment of 12 years on and off as a Signal Battalion Officer for Mech Infantry, Artillery and Armor units. 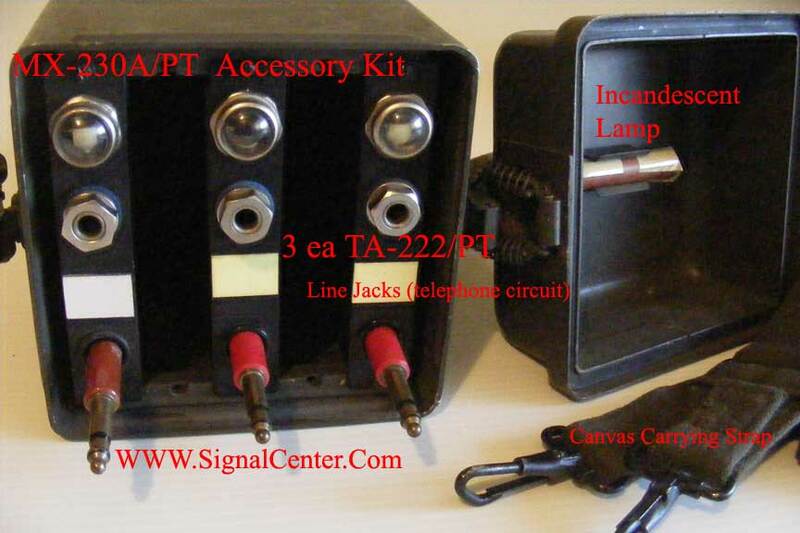 These spare accessory kits with new line jacks were used to replace defective linejacks on the SB-22/PT switchboards. 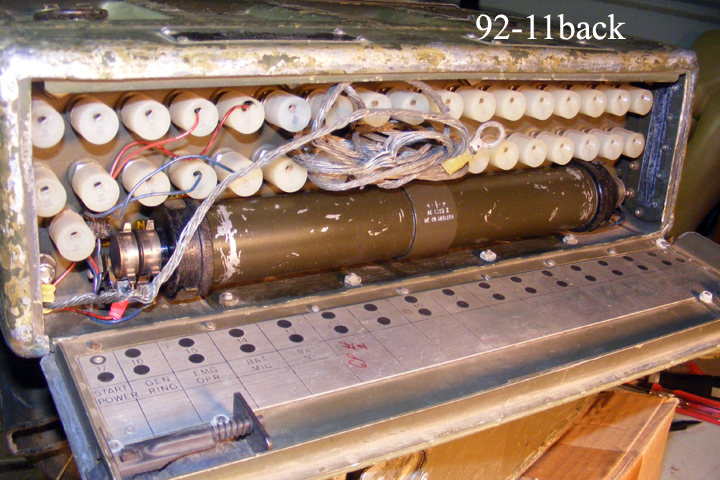 We, or my repairmen, would exchange bad for new/good linejacks and put defective ones back in the Kits to later turn-in to higher maintenance. 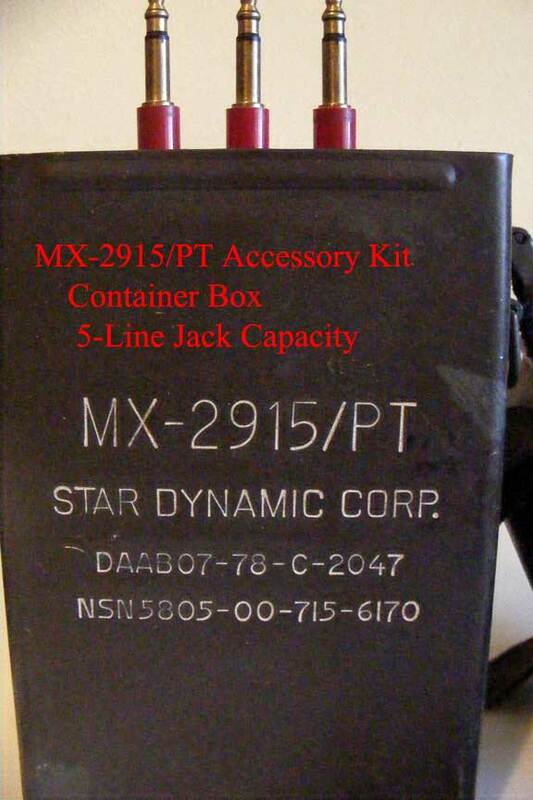 99% of the time, these defective units remained in the accessory Kits; we just ordered more new Kits. 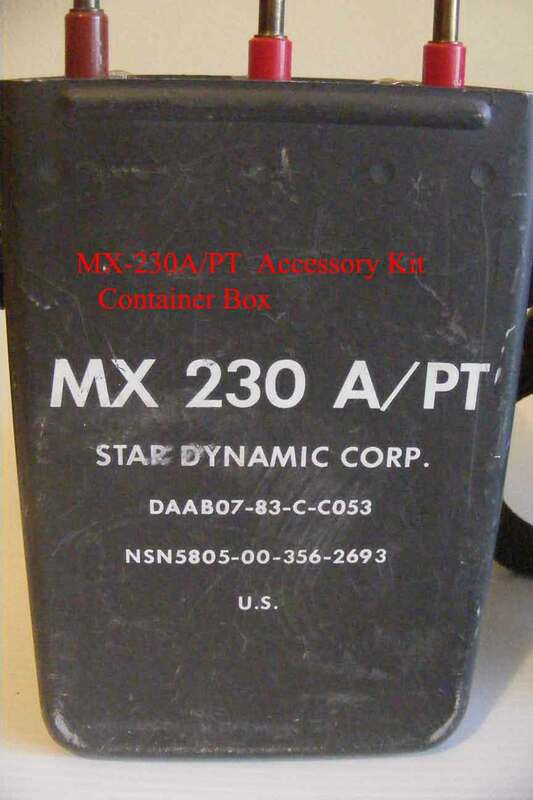 In time these Kits with defective units were just turned in as excess, and eventually consolidated and ended up in government auctions. Many EBAY sellers don't have the resources or the technical knowledge to verify the operational condition of these and mistakenly assume they work without ever testing them and sell them "as is, untested." 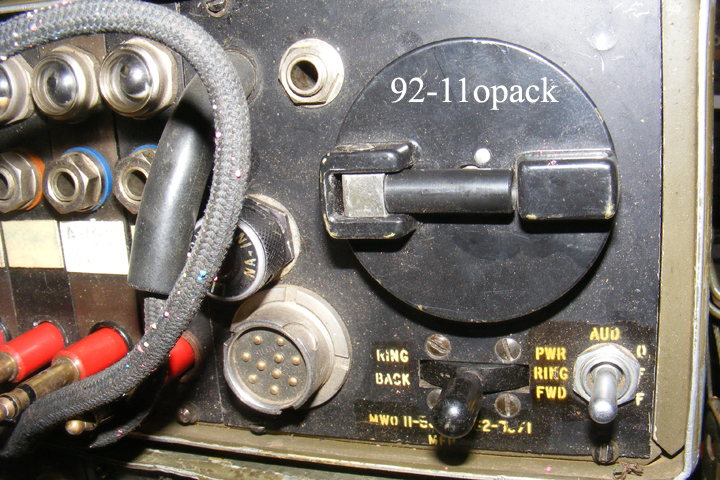 In turn, buyers are under wrong the assumption that these linepacks are in operational condition. So all I can say is "buyer beware." 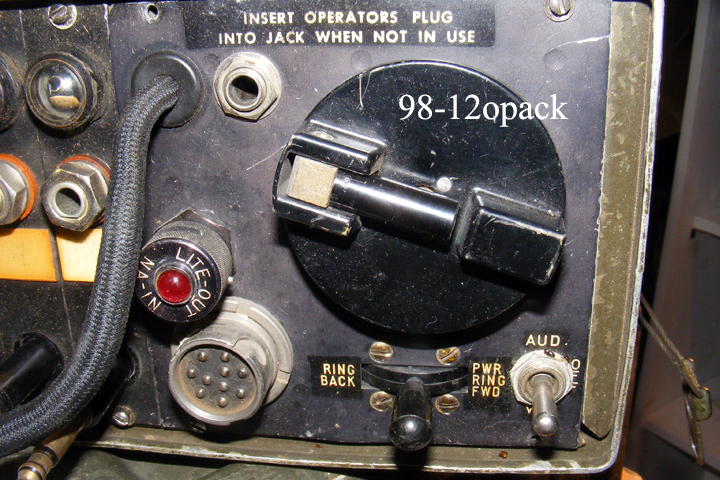 Used line jacks or "not tested--defective"
New line jacks or "tested--operational"
If you are missing a headset, I currently have new-mint condition Microphone H-182/PT Headsets with Tech Manuals and an extra new ear cushion available. 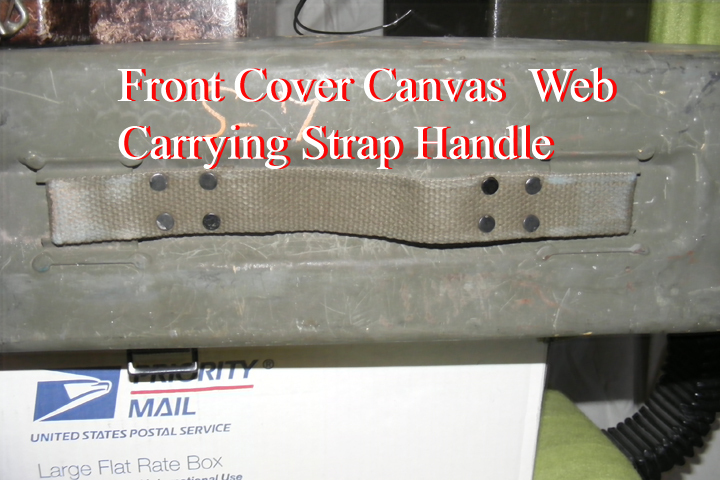 Front cover carrying strap. 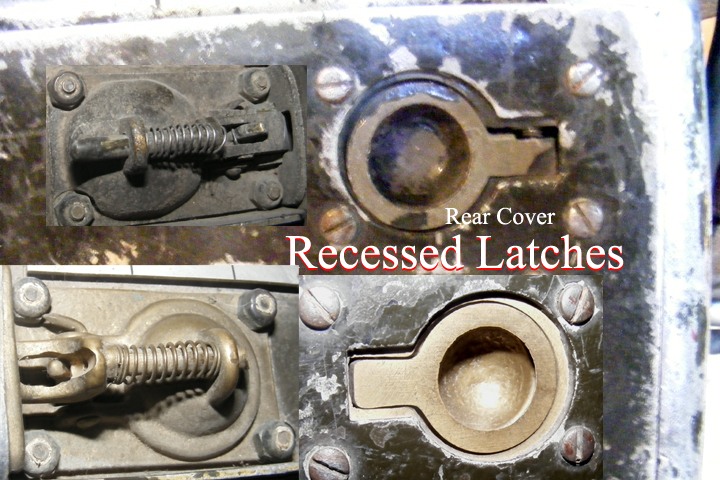 side Latches and clips, and the recessed hinged latch are typically areas of concern. 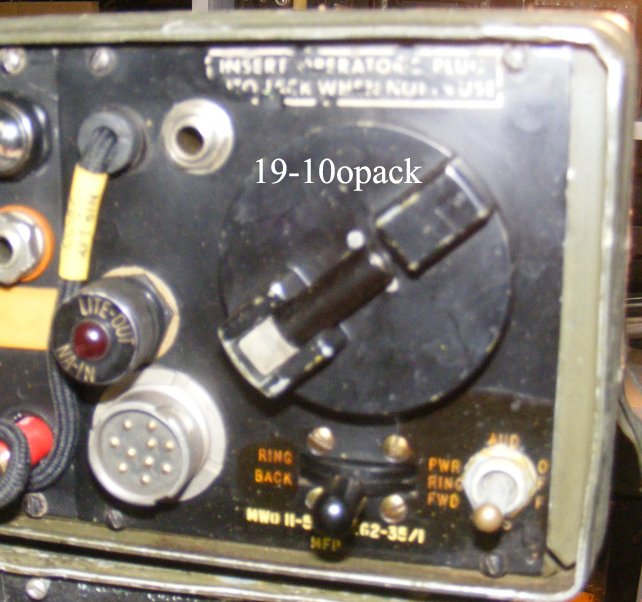 Currently I have in my inventory 30 switchboards. 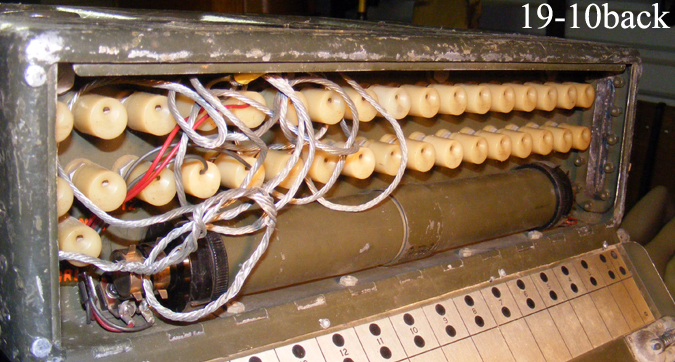 About 25 are complete switchboards without missing component or broken part issues. The remaining ones I use for repair and for replacement parts. As you can determine, I have the resources to fix and replace before I sell -- I can support with replacement parts after the sale. 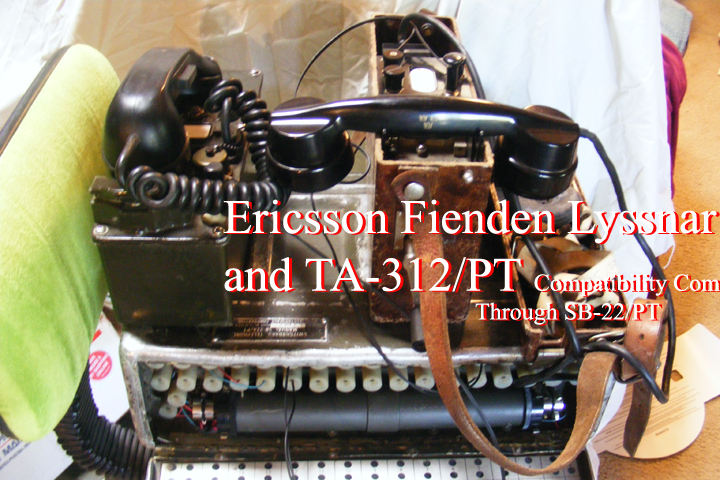 My first three years of my 20-year career, I repaired field telephones and SB-86/P and SB-22/PT switchboards. 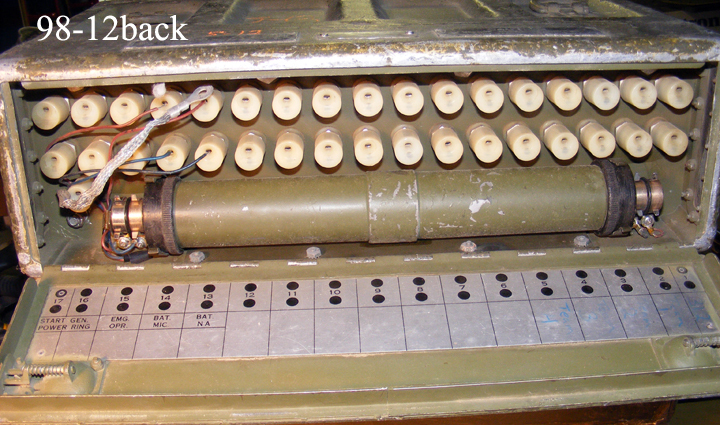 Shown below are typical images of used hardware on these switchboards. 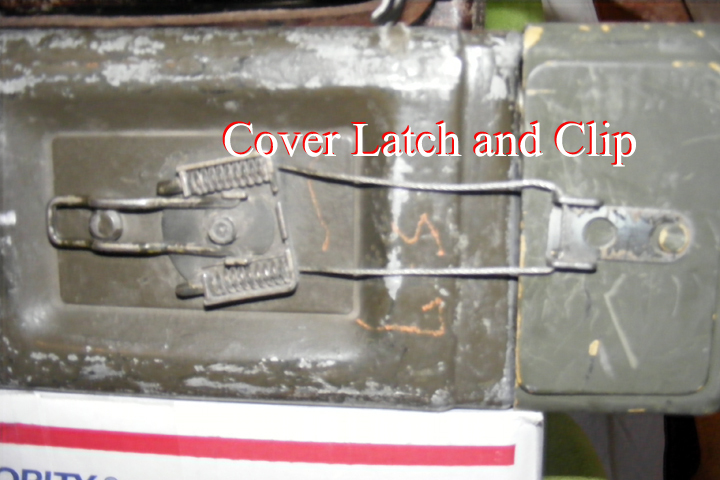 Usually bent, broken or missing components are typical. 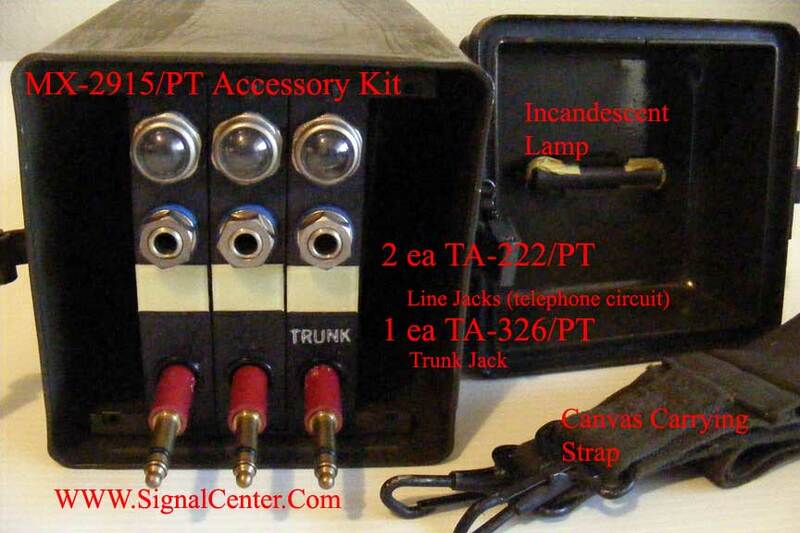 Ask about completeness of these components when buying. Normally, most are very worn, but still serviceable. Normally, most original headsets are very worn and cracked, but still serviceable. 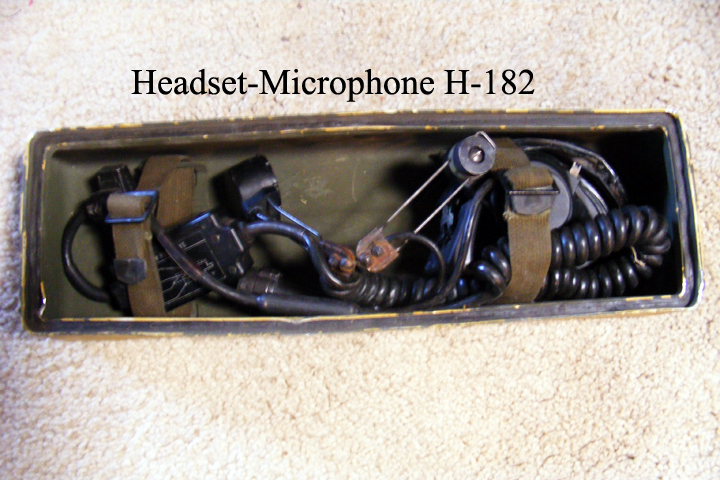 Eventhough the military's method of packing this headset in the top cover for transportation is used, I would recommend not to. It literally crushes, tears, or crimps the ear rubber cushions badly. I have a sufficient quantity of brand new replacement earcushions in my inventory, as well as complete new ones. 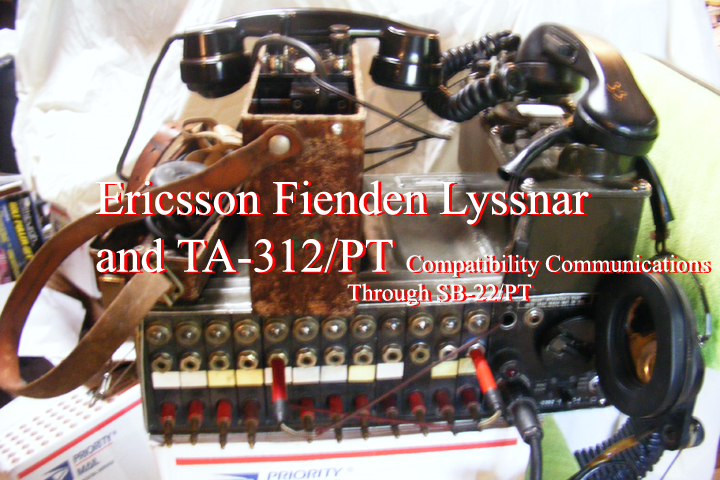 I connected the Ericsson Fienden Lyssnar Field Telephone and the TA-312/PT through a SB-22/PT. 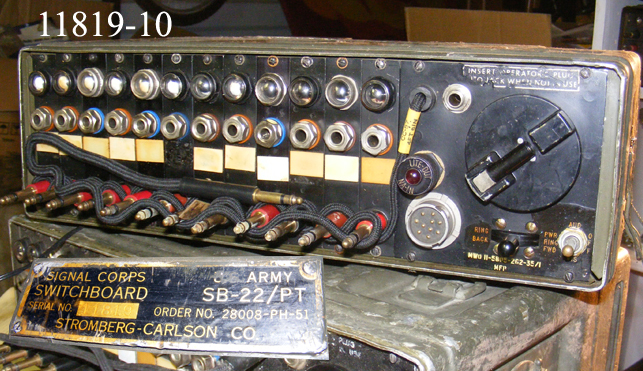 Besides the voice communications, the Morse Code Signal is very clear.